Fifteen years ago, I was drawn to southeastern Utah by the vast tracts of Bureau of Land Management (BLM) and National Forest lands where I could find the freedom to explore and climb and have an adventure—rarely seeing another human other than my climbing partners or an intrepid hiker. I loved the feeling that my every move wasn’t being scripted by a ranger or a regulation, a sense I sometimes get when visiting National Parks. Now, years later, these remarkable lands are no longer a place I visit on a quick weekend trip. Literally in my backyard, I work every day to protect this landscape for future generations. Our big project right now is working with a coalition of groups to protect the Bears Ears cultural landscape as a permanent National Conservation Area or Monument. This is a place I love deeply, and it’s been difficult to watch as it has changed dramatically over the last decade. Although there still aren’t signs or rangers listing off onerous rules at every parking spot, I don’t always get a sense of solitude in areas like Indian Creek, Valley of the Gods, Comb Ridge and Cedar Mesa due to significant increases in visitation. I’m also far more attuned to the impacts being caused by looting, grave robbing, energy development and irresponsible recreationists (both motorized and not). I’ve witnessed firsthand real damage to sacred cultural sites, pristine natural areas and extraordinarily beautiful vistas. I wouldn’t deny anyone the opportunity I have enjoyed to be inspired by these amazing places. 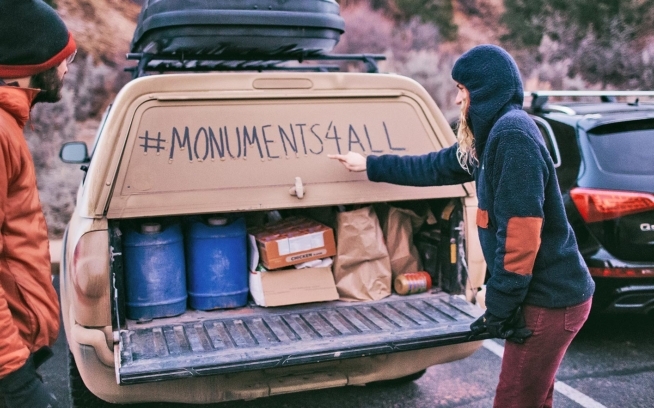 But, as a climber and as someone who cares deeply about the incredible archaeological resources in this area, I believe we all must take responsibility for their protection—not only in supporting efforts like the Bears Ears campaign, but also by building a thoughtful climbing community that goes above and beyond to respect other users and rules meant to protect natural and cultural/archaeological resources. We need to educate ourselves, and encourage friends and other climbers to be sensitive to the archaeological and natural resources that can be easily damaged through carelessness or ignorance. If we want to continue to enjoy the access and freedoms we often take for granted on public lands, we, as a community, need to set ourselves apart by knowing the rules, respecting them, and being “upstanders,” as the Access Fund encourages us to be, rather than bystanders. 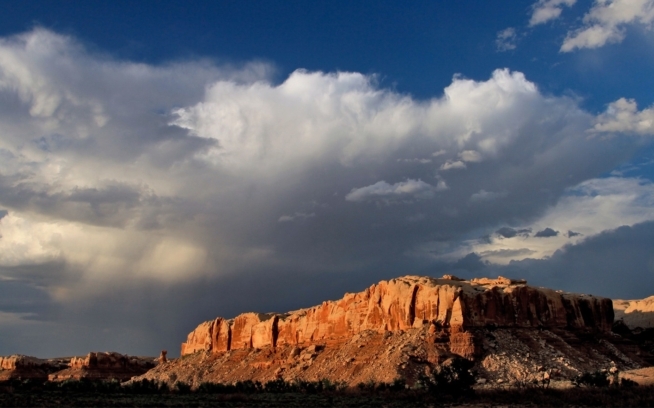 In southeastern Utah, some of the most important rules we need to respect are those designed to protect archaeological resources. The Bears Ears landscape, which we’re working hard to protect permanently, is remarkably rich in cliff dwellings, “ruins,” rock art sites and other places considered sacred by many Native American tribes. Following the rules meant to save pre-history is not only the right thing to do to protect our continued access, but it shows respect for Native people who have a living connection to their ancestors who left behind these cultural resources. For example, many people don’t know that it is illegal to use “climbing equipment” (e.g., ropes, ladders, camming devices, bolts, etc.) to access an archaeological site. The only exception is for archaeologists who have been granted special research permits. There are some very good reasons for this rule. Swinging ropes and falling rock pose a real risk to delicate sites. More importantly, there’s a long and unfortunate history of looters utilizing climbing gear to facilitate the theft of objects sacred to Native American people—artifacts with important historical value. 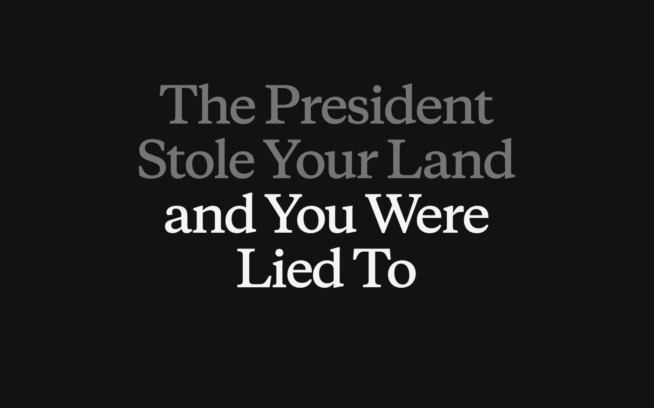 Similarly, climbing on, or even touching, rock art or the walls of ancient dwellings can damage irreplaceable American history, and any such damage is prohibited by federal law. For this reason, climbers would be well served to avoid roped activities anywhere near rock art or archaeological sites. I write all this because many people don’t know about these rules, and climbers are an easy target for those who look for someone to blame when these kinds of rules are disregarded. After all, we have ropes and like cliffs. For the sake of protecting our access, we need to clearly distinguish our legitimate sport from the activities of “criminals with ropes”—people who would defile sacred places and steal or damage American history. Prehistoric rock art in Indian Creek can be easily damaged by touching the art or climbing near it. We as climbers need to be especially careful to follow rules meant to protect archaeological sites. In the Defined by the Line video for example, all of the roped climbing occurred on traditional climbing routes put up decades ago, well-removed from archaeological sites. In the video I was also shown soloing—not using climbing equipment, unroped—to visit a cliff dwelling that was looted decades ago by people who rappelled into the alcove. Friends of Cedar Mesa is working with Friends of Indian Creek, Patagonia and the Access Fund on developing a brochure to help educate climbers about rules surrounding archaeological sites and how we can all work together to protect these sacred cultural resources. For now, if you see a climb at Indian Creek by a petroglyph site, pick another route. If you overhear someone talking about using climbing equipment to access an archaeological site, speak up or report it to the authorities at the BLM. And, if you encounter an archaeological site in your adventures, such as a cliff dwelling, visit it with respect, stay out of interior rooms, and leave everything you see exactly where you find it. As a climbing community, we have the opportunity to help protect the places we love, while preserving access to do what we love to do. We can help bring about a future where we summit a spire in Valley of the Gods without our view being marred by a new oil field. By being engaged, climbers can ensure we’ll be able to visit a remote tower, like Jacob’s Chair, without breathing air fouled by a new uranium mine. By raising our voices, we’ll be able to climb at Indian Creek without our experience being changed by new roads or energy development in the area. And, we also have an opportunity to be role models for responsible recreation by understanding how we can avoid impacting sensitive resources around us like archaeological sites. If we fail, and these resources are damaged, we may lose access and, more importantly, we’ll lose thousands of years of history and cultural heritage. Together, let’s show respect for Native American culture by protecting archaeological resources and supporting Native people in their efforts to be engaged in public lands management. If you haven’t yet, check out the ProtectBearsEars.org website and sign the petition!